I don’t think I’ve written about it, but I have a toaster oven. It was a hand-me-down from someone when I first arrived here. It’s a nice one, but he got an even nicer one, and just gave the old one to me. Awesome! At first, I just made toast with it, but eating leftovers in it is AMAZING! 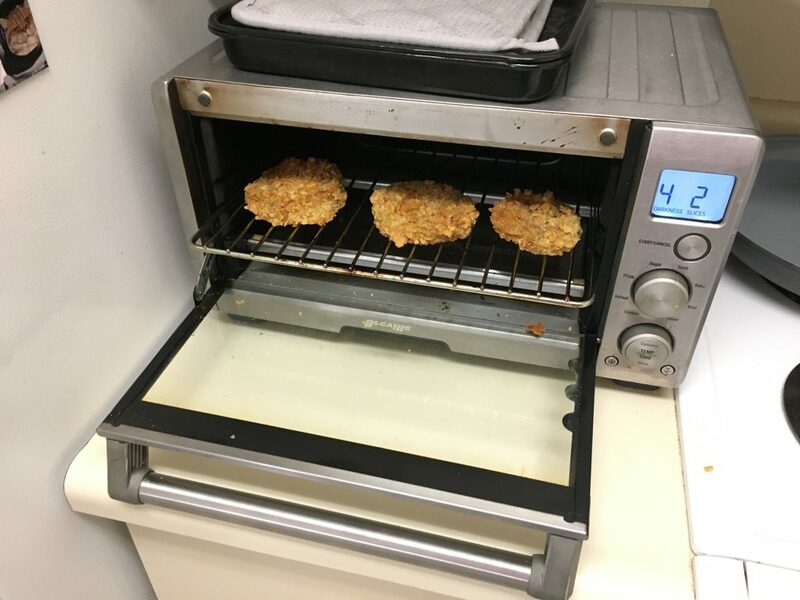 Instead of being soggy, they are crusty and hot. Pizza leftovers are incredible. Just the other night, I did fried eggplant leftovers. I would never have done this before, but the toaster made them hot, crisp, and sooo good. I just used the ‘toast’ setting. I think toaster ovens will be a permanent part of my kitchens from now on. I think I’ll get one for the summer kitchen on the porch. 🙂 Yours is a beauty!